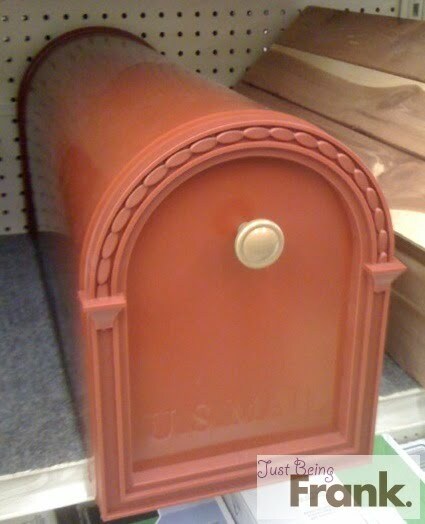 was a normal mailbox. And who knew, it would turn into a weekend long adventure. Maybe not so much adventure, maybe more experience. So you see, our mailbox is currently attached to our house. However, this week, construction will begin, and that mailbox, along with most of the house, will be removed and thrown in the garbage. So we have a problem. While our mail is forwarded, many things still arrive at the house. Thank you very much United States Postal Service. So, we realized that we had better get a regular mailbox put up quickly before construction begins. 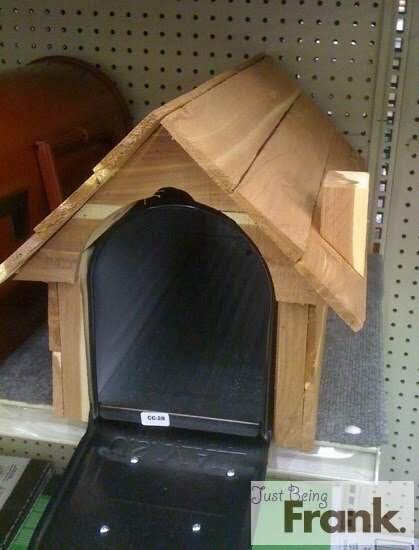 I wanted a mailbox. Not a fake house. Not a strange wooden box with a chimney! A chimney! Seriously, I just wanted a mailbox. 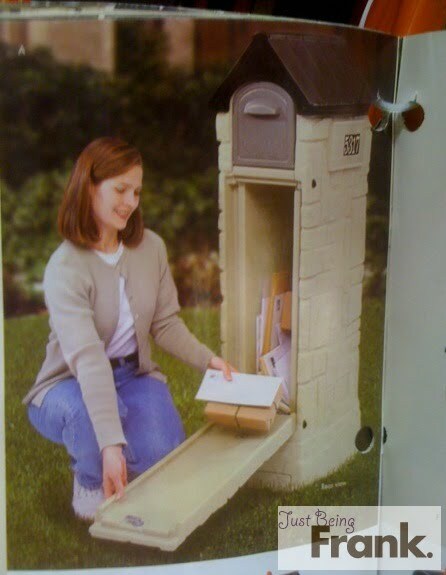 Perhaps the ugliest mailbox I have ever seen. This tops the mailbox turned into a house. Red with fake rope, all crafted out of fine plastic. NO THANKS. Now seriously, am I just being picky? Or are these horrible??!!! Which is fine. If you're writing letters to Satan. Is that not the scariest looking mailbox you've ever seen? The owners of that mailbox are creepy to say the least. And it says U.S. MAIL stamped in large bold letters. In a way which really says, "Evil mail arrives here". Oh good! For the mountains of mail I receive, this will allow it all to fall into this fake rock-like plastic box. I am so happy I will have a normal looking mailbox which conceals the 8,000 letters per day which I receive. Now if you need this mailbox, then you are way too important to be reading my blog, and you clearly have appeared on the cover of Tiger Beat Magazine. We then realize that not a single one of our neighobrs in our neighborhood has a stand alone mailbox. After all that, we learn that this neighborhood requires them to be on the house. 3 stores, 100 ugly mailboxes and $140 later, we were on our way back to Lowes to return our purchase. And we were trying so hard to be good handy homeowners. oh my gosh! what a pain!!! 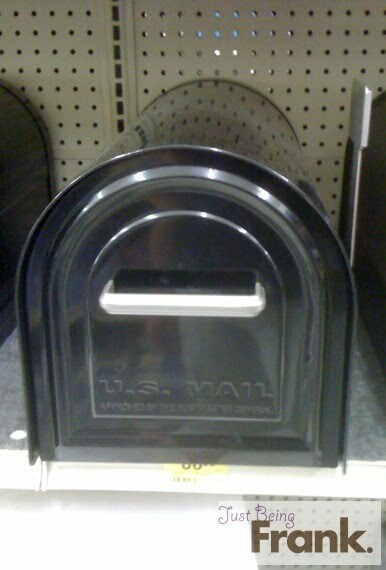 I had no idea there were so many hideous mailbox options...what happened to standard mailboxes?! Hey Jer, no sandals when cutting the grass, too dangerous.